Fly Paper: Sidney Thomas Offers Some Great Advice to Bonefishermen. Sidney Thomas Offers Some Great Advice to Bonefishermen. Sidney Thomas is a tremendously talented guide. He has all the requisite attributes a superior guide must have: great eyes, expansive knowledge of his fishing grounds, a tremendous feel for where the fish will be on any given tide or weather profile, the ability to pole a skiff quietly and position it properly for the cast even in a driving wind and perhaps most importantly, good people skills. But Sidney has one more skill that makes him unique, he has dissected the technical aspects of the sport and is able to convey the assembled techniques to his anglers. 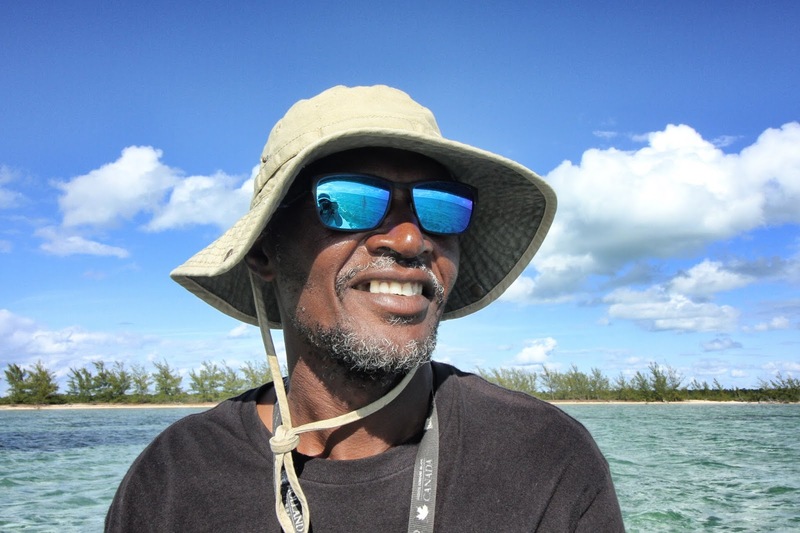 Recently, this renowned guide, closed his Water Cay Lodge and opened a new lodge on Great Abaco Island. On my recent visit to see how work was coming on his new lodge, (see Little Abaco Bonefish Lodge), I asked Sidney to demonstrate his basic technique for the camera. While a pod of huge bonefish passed behind us while we were filming, Sidney kept his concentration, overcame his shyness and passed on some sage advice. Give a listen, it might come in handy on your next trip!